SCAVO Technologies is a company established in Argentina specialized in the construction of telecommunications data center infrastructure for crypto mining, using renewable resources. Formally founded on August 1, 2017 as a result of 2 years of research and development of proprietary technology that together allow the energy self-sustainability of the entire crypto mining complex. In order to carry out a large-scale project it is necessary to have different resources such as economic, physical, technological, human, etc. 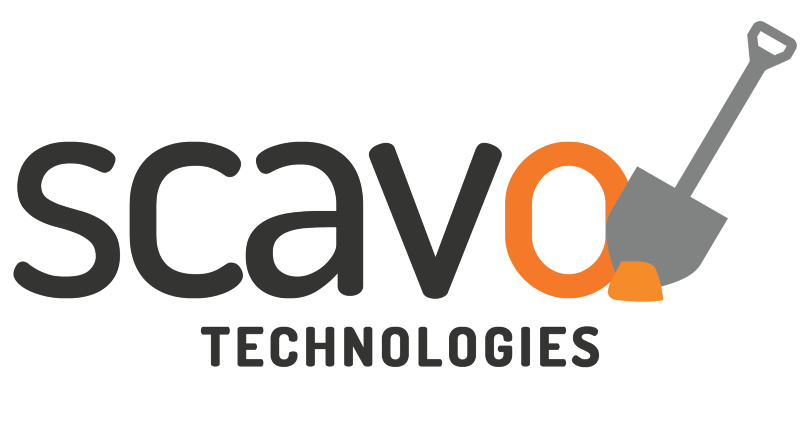 Throughout the different stages of Research and Development (R&D) SCAVO Technologies managed to forge various links with technology companies, manufacturers and highly qualified personnel in different parts of the world. In the same way Team SCAVO hope to be able to establish a long-term relationship with our investors that allows us to grow together through clear terms and conditions. The SCAVO Token will be entirely backed by the mining hardware as well as by other equipment that is part of the renewable energy generation plant that will exist in a real physical place generating crypto assets 24×7. The SCAVO Token is based on a smart contract on the Ethereum network. It is an ERC-20 token, the de facto standard of today′s tokens. Each acquired token allows the holder to access the utilities produced based on the models of operations stipulated in the whitepaper. In this way, the owner of the SCAVO Token acquires the right to receive earnings proportionally to the amount of token that he holds, for life. It is understood as such, to the period by which operating expenses do not exceed the profits to be received. Once the mining farm is in production, all benefits of the mining operation will be distributed among the Tokens holders and the founders (who also hold tokens). The investment pays dividends from the first day the farm is in operation. The amortization period for investors varies from three to ten months, depending on the stage in which they entered the project. SCAVO is responsible for finding the right location for the farm and the power plant, buying the hardware, deliver it to the destination. Build and maintain the farm, set up their cooling system. Manage the internet connection service bills as well as to negotiate the interconnection with the existing power grid of the local energy distribution company to be able to inject the surplus generated energy (not needed for the farm) and be able to monetize it; and of course, any malfunction or problem that may occur during these processes. As mentioned above, the SCAVO Tokens holders will receive dividends, through a lifetime contract, or more precisely, as long as the profits of the mining farm operation exceed the utility bills. At SCAVO Technologies, The Team firmly believe that investments in crypto sustainable mining are the most profitable option for long-term profits and that is why our proposal is to strengthen the link with investors through clear rules. SCAVO Technologies, besides of providing an intelligent solution to the problem of the generation and consumption of energy of the crypto mining farm, by reducing the cost of energy to its maximum expression, Team make participation in the business more accessible and easier for anyone wordlwide, regardless of their knowledge and wealth. Our commitment to the SCAVO Community is such that it allows active participation in making important decisions that may affect the company, through the use of smart contract voting. To reach the objectives proposed in our development, it was imperative to work on the concept of “Industry 4.0”; this is to achieve the highest degree of efficiency and automation of the possible processes for decision making. The guidelines that guide our proposal contemplate access to clean energy and at a very low cost, the use of industrial grade components for the manufacture and assembly of the different units that make up the crypto mining complex, energy efficiency and the necessary robustness to carry out the crypto mining process in the long term. This has allowed us to offer an intelligent solution to the problem of access to energy at competitive costs and thus contribute to the principle of decentralization as well as ease access to the use of technology to the general public. SCAVO understand that innovation throughout the current system is something indispensable, necessary and imperative for crypto currencies and their technology to be accepted in a massive way. Due to this, it was necessary to align the development of the different parts that make up the crypto mining complex to the concept of “Industry 4.0”. At SCAVO Technologies, The Team have developed different software/hardware components that automate several processes of the crypto mining complex. These components provide essential information in real time to the company’s computing center for decision making, while these processes are fed back with their own and external information that will optimize and help predict certain behavior in the future more accurately. All this could be achieved using complex technological processes and industrial grade technology. The process of acquiring specialized hardware for crypto mining is not something simple due to the growing demand in this last time and in many occasions accessing it involves negotiating with different intermediaries that end up making the purchase process more expensive as well as all the logistics that implies a purchase on a large scale. To be able to have a better negotiating position in the different intervening processes, SCAVO Technologies is registered in the importer/exporter registry of Argentina. This made it possible to access the necessary hardware (ASICs, GPUs, PCBs, etc.) directly and without intermediaries, reducing costs. Team have agreements with different international transport companies at competitive wholesale rates. Achieving energy self-sustainability was a key milestone in the development process of the project itself as it will allow the development of the company’s different operating models without being tied to traditional energy costs as well as to energy market fluctuations or policies of energy. The use of renewable energies for the generation of electricity, allows to develop this ecosystem in different parts of the world where energy cost is incompatible with the market of crypto mining. Achieving energy self-sustainability in a maximum period of 12 months will reduce the cost of energy per KWh from USD 0.12–0.15 to values between USD 0.01 to 0.05 and a minimum expected useful life of 10 years. In order to achieve a large-scale crypto mining system, scalability was a point of strong consideration. For this, all the design and construction guidelines of the different components allow for greater modularity. Blocks were designed (at the subsystem level) in a standardized way that allows the exchange between any of them. At the same time, being a modular process, they are conceived to be able to put together different arrangements to add or remove capacity in a practically unlimited way (subject to the deployment space of the complex). As an example, the interconnection of energy allows a horizontal and vertical integration of the same being able to be connected with other adjacent energy systems and be interconnected to the traditional energy system simultaneously. They have great technology planning to achieve their goals. At present, the mining industry is not fully developed and most people and this Project will make mining more efficient. Team and Advisor Good enough. Need to add new advisors and Core Teams who are experienced in blockhain and mining. There is no mvp (Minimum Viable Product).I do not see detail any viable ROI to investors.